Emil Anderson, a Danish convert to the Church of Jesus Christ of Latter-day Saints, was a carpenter when he arrived in the United States. He was called upon by the community to furnish a casket and later helped with the funeral needs of the community. He started with this simple carpenter's shop and did most of his work in the deceased's home. 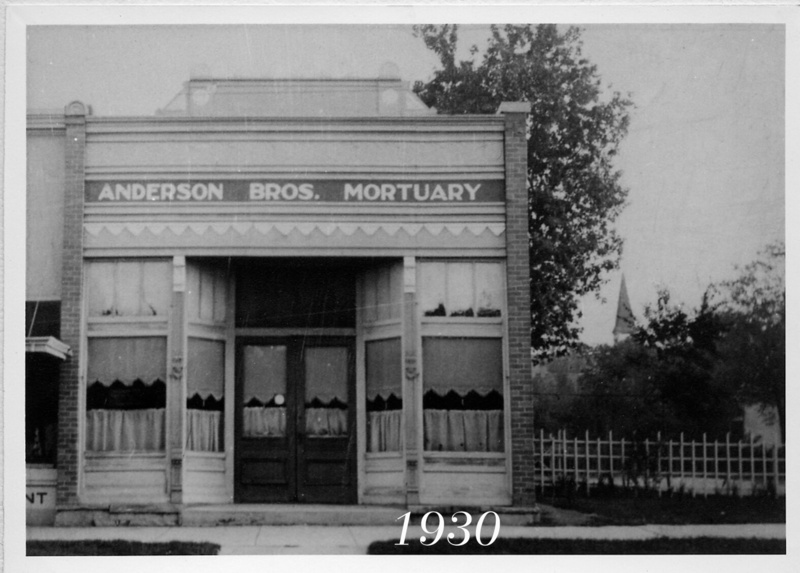 Sons of Emil Warren and Stephen Anderson were taught the art of embalming and established a mortuary on Main Street in American Fork known as Anderson Brothers. 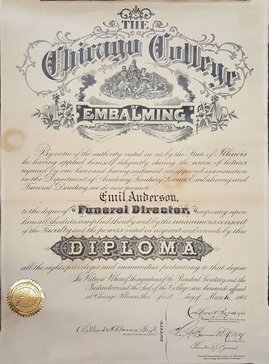 Continuing the tradition started by Emil servicing the all funeral needs. 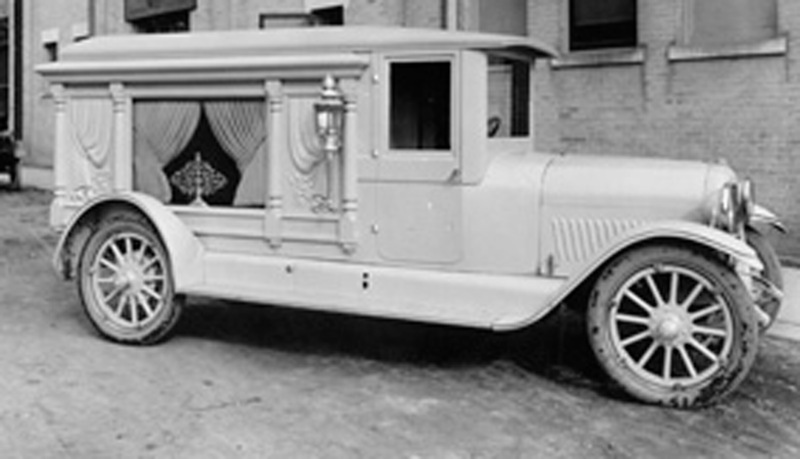 They improved the funeral facilities by adding a funeral parlor in 1930. Then Warren's sons: Earl, Glen & Harold Anderson were involved in the family business thus changing the name to Anderson & Sons Mortuary and once again they added a funeral chapel to improve the facilities in 1955. In 1963 Earl & Zola both licensed funeral directors purchased Anderson & Sons Mortuary, Inc. from his brothers and built this modern facility. 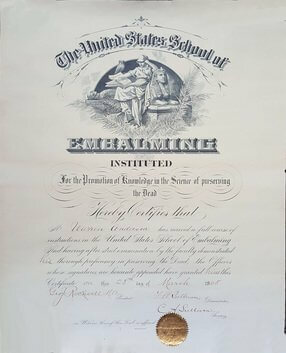 Continuing the traditions established back in 1866. Alan & Annette along with the fifth generation in the business, son Alec, have now completed and established our second facility in Highland, Utah. We have been serving the community with faithful service for five generation and more to come.